An ideal solution for when you are moving home, renovating/extending or looking just to de-clutter. Our prices and flexible leases are the most competitive in Glasgow. So, what are your options ? Whatever size and shape you need we'll find a room that suits you. All our rooms are safe and secure so if you want to store your full house contents between moves your mind will be at ease. You will have continued access to your possessions so you can add items and take things away as often as you like. If the property that you are moving to requires any work doing to it prior to moving in, then you have the added benefit of being able to carry out the work without the clutter of your furniture being in the way and being potentially damaged. Need your garage for your car? A small low cost storage room can hold an amazing amount of stuff. You can store out of season clothes, sports equipment, gardening tools for when you need them. You will have full access to them 7 days per week. Why not de-clutter and show off your house to its full potential. This is one of the major recommendations of all the TV show’s about how to market your property, to make your rooms look larger to help when it comes to 'sealing the deal'. No Space in your house? You may not need to move home because you are short of space. It can be cheaper to convert your garage or attic to an extra room than move home. You may lose storage space but we can deal with that for you. If you need to free up some space but don't have transport, we may just have the solution for you. Come down to one of our two Glasgow stores and one of our trained team members can help. We will talk you through different options and package a deal to suit your budget. You can visit your own unit as often as you like, free of charge within our office hours. 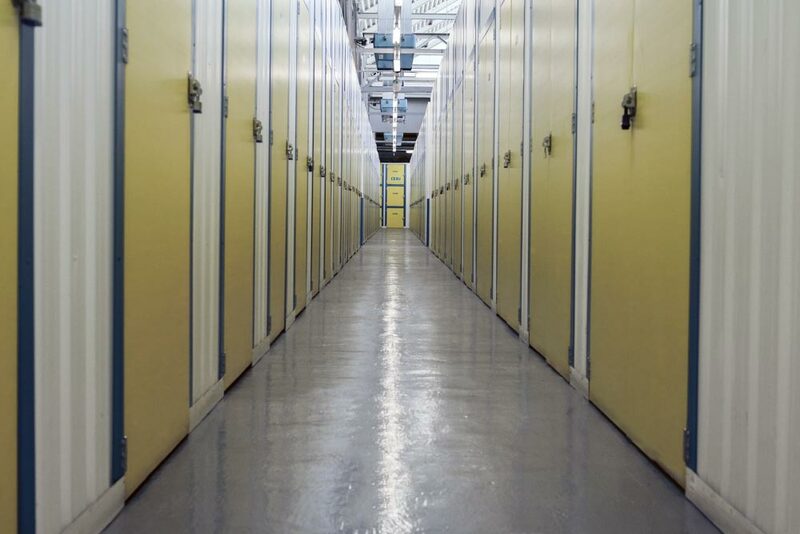 We have lockers from less than £5.00 a week and small store rooms from £6.50 a week.